"Comfort one another with these words." "Ye believe in God, believe also in Me." "If we believe that Jesus died and rose again, even so them also which sleep in Jesus will God bring with Him." "If it were not so, I would have told you." "This we say unto you by the Word of the Lord." "The Lord Himself shall descend from Heaven." "and receive you unto Myself." 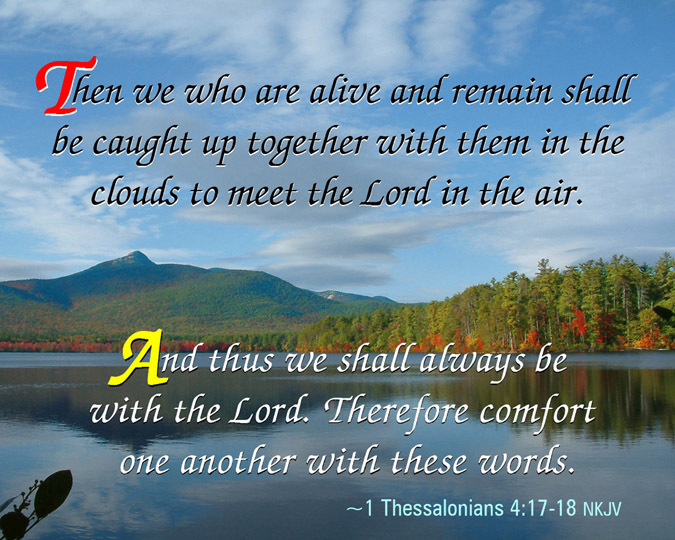 "We...shall be caught up...to meet the Lord in the air." "and so shall we ever be with the Lord."